Comments: They say a week is a long time in politics, but what about three years in football? After a three year hiatus, I’m back at St James’ Park and in search of their super-charged ‘Magpie’ pie. Essentially, if Wayne Shaw was a pie he’d be a supersized Magpie. While it wasn’t the most flavourful pie last time out, there was no doubting the value and novelty of the rotund rectangle of a pastry. This season, to my surprise, the ‘Magpie’ appeared to have slimmed down dramatically – kinda like a reverse Neville Southall. The once buoyant puff pastry had wilted into a dry, yet evenly spread, block of craggy stodge. Inside, the salty pastry was complimented by an all too watery mince mix that failed to leave any positive impact on the overall flavour. 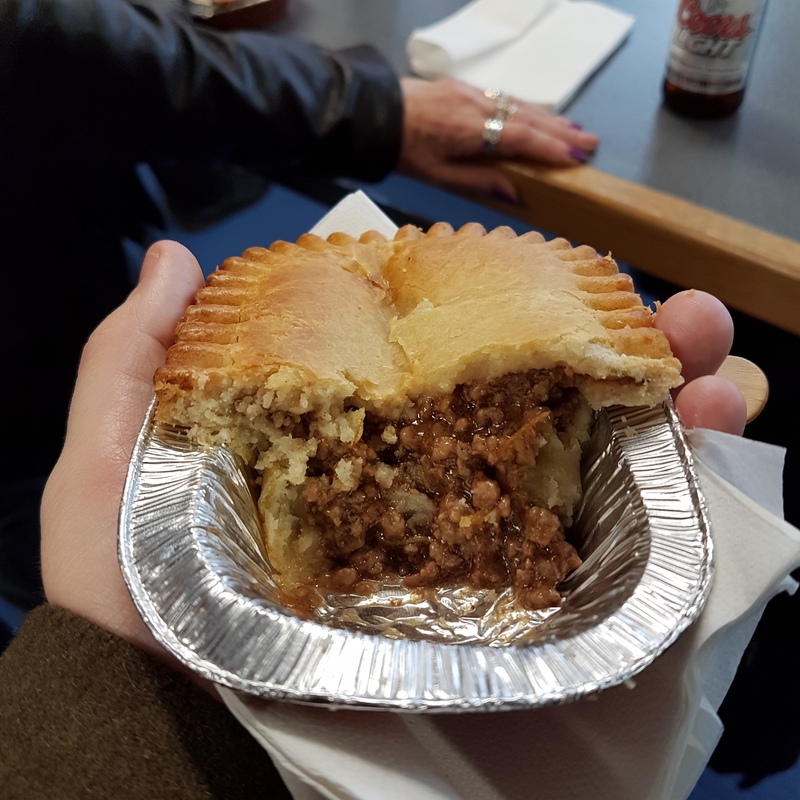 Looking back at the photo of it now, the half-consumed pie oozing with soggy mince looks like the aftershock of a gnarly Vindaloo. Far from enticing stuff. The distinct lack of potato in the Magpie makes me wonder whether I’d actually been given the wrong pie – certainly this was not the Magpie I’d once seen so radiant and robust in its appeal. This could be the worst footballing mix-up since that time AC Milan accidentally signed Luther Blisset thinking it was John Barnes. 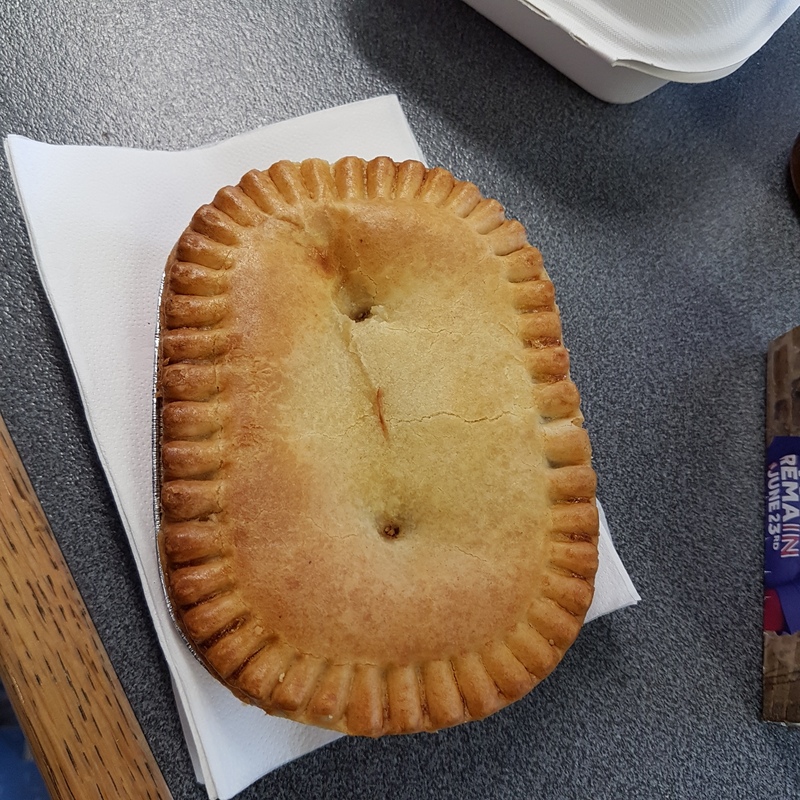 The Magpie, Newcastle’s answer to the Ipswich’s Portman Pie or Fulham’s Craven Cottage Pie, had limply transformed into a shabby Holland’s Pie lookalike. It looks like relegation really does take its toll on these football clubs, even the pie portions are being reduced! 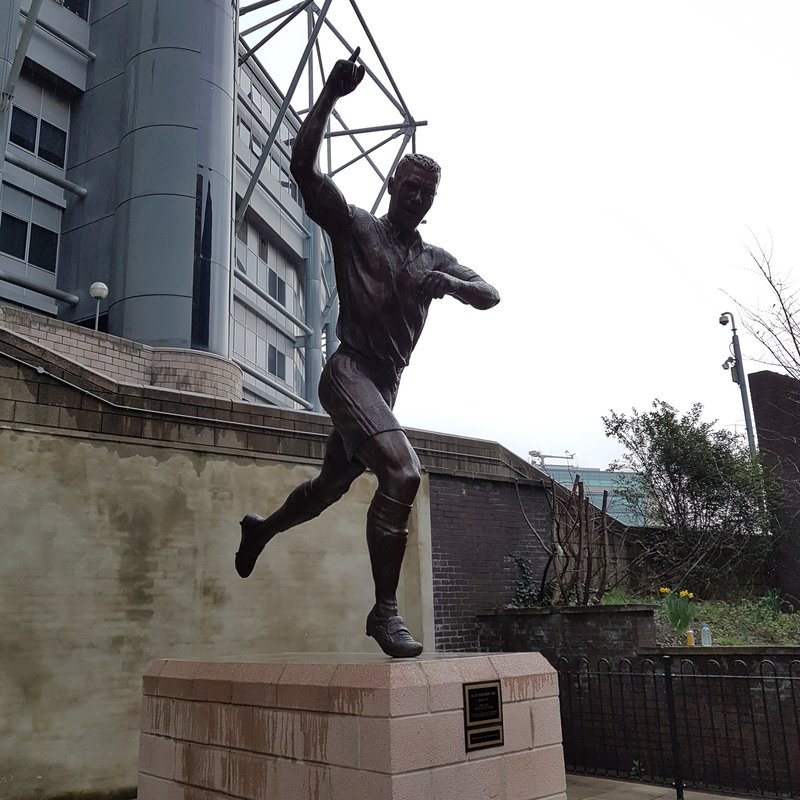 At least the Magpie and Newcastle’s woeful performance on the day weren’t the worst of the day, that award goes to the bizarre, finer pointing Alan Shearer statute outside the ground.